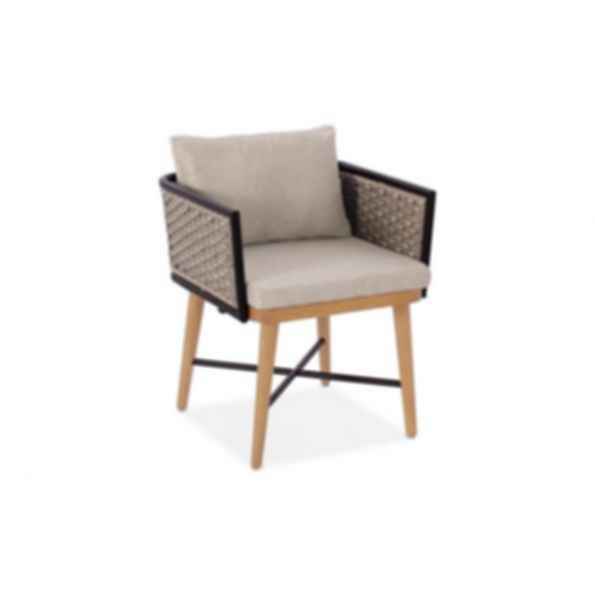 Corda dining arm chair is unique, modern and elegant and impresses the look at any outdoor space. Corda collection was introduced in 2016 by Triconville R&D. 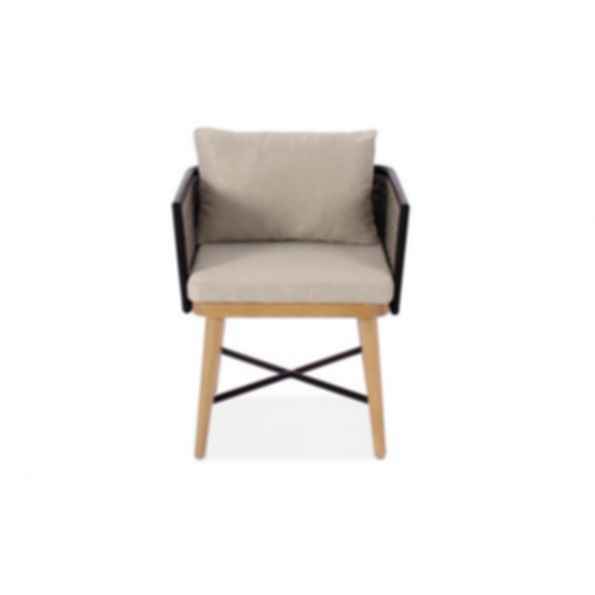 The tempting Corda dining arm chair is a mix of teak, high quality synthetic fiber, and powder coated aluminium stretcher. 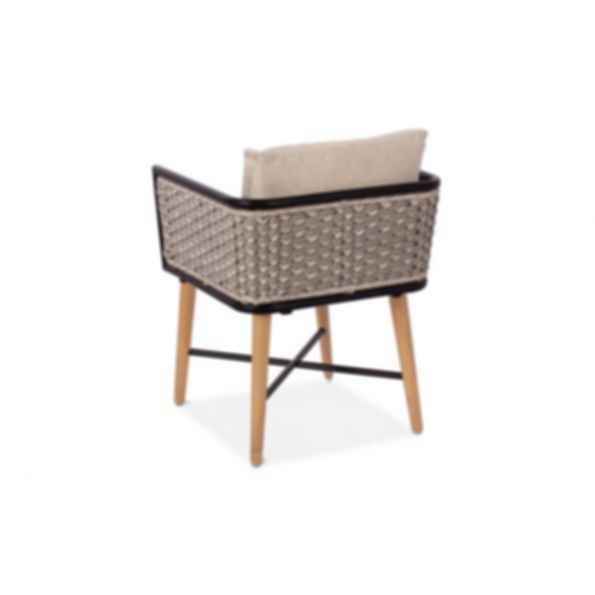 Smooth-edged forms with an elegant pod of round tube furnished with innovative rope weaving on natural finish teak seating. 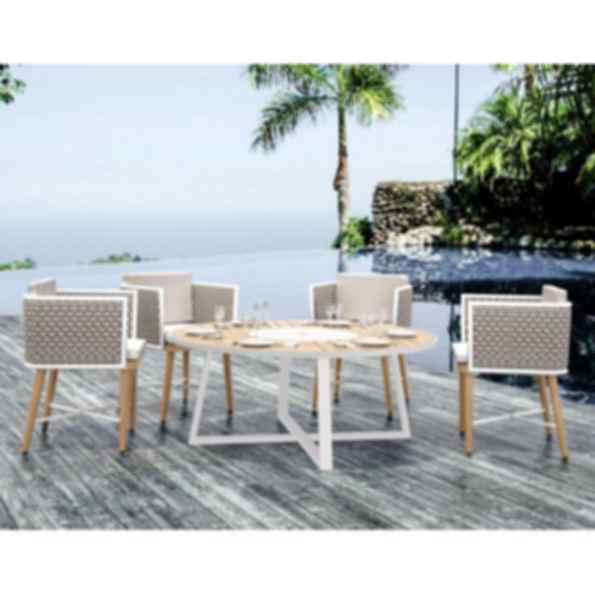 The Corda dining armchair together with teak and aluminium tables make a perfect dining outdoor space. 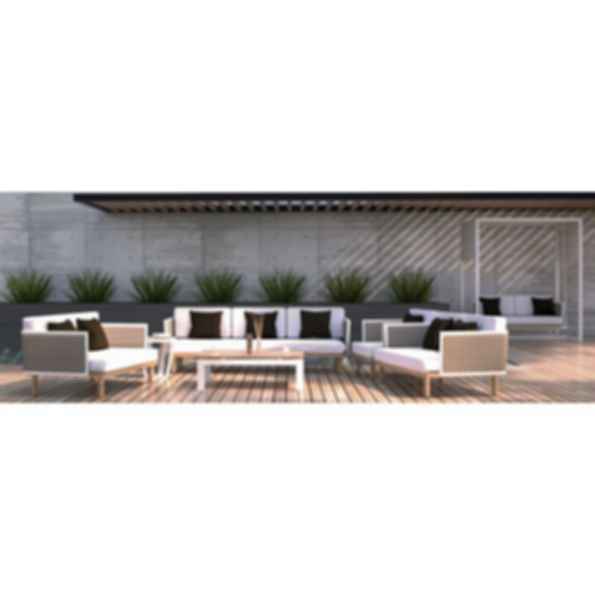 Triconville is a premier manufacturer of high quality outdoor and contract furniture. Growing, investing and Innovating has been our company's hallmark for decades. 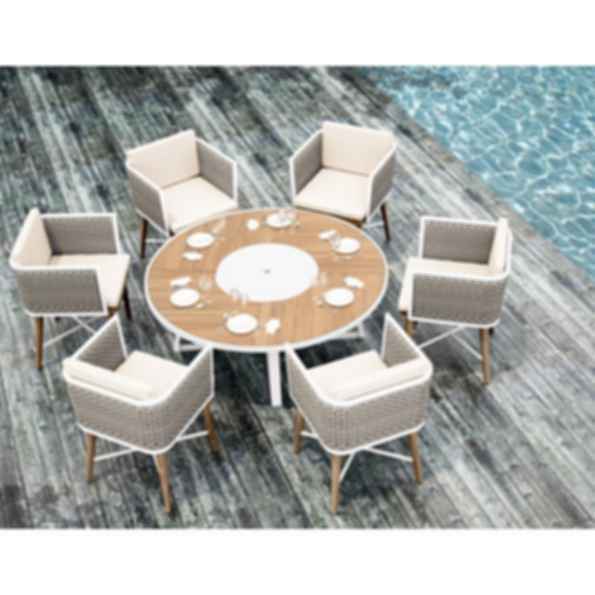 Since its incorporation in 2003, the company has grown to become one of the well-known manufacturer of outdoor furniture products to worldwide market. 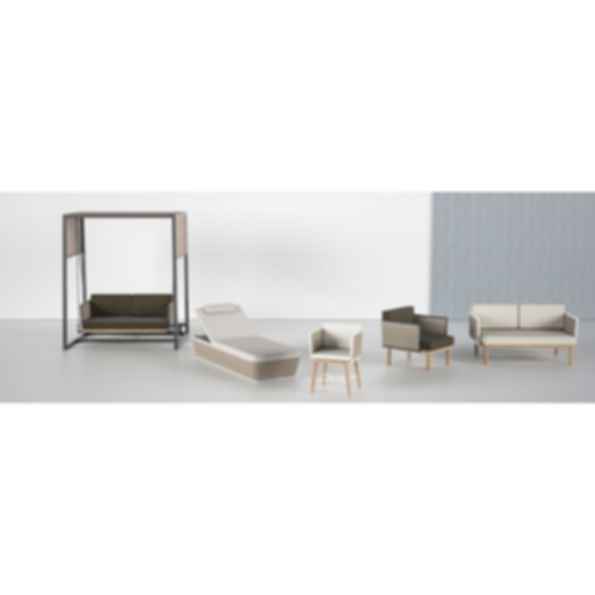 Besides designing, manufacturing, selling our own collection of outdoor furniture, we also manufacture high quality custom made hospitality furniture and offer OEM a.k.a Private label for the furniture industry. 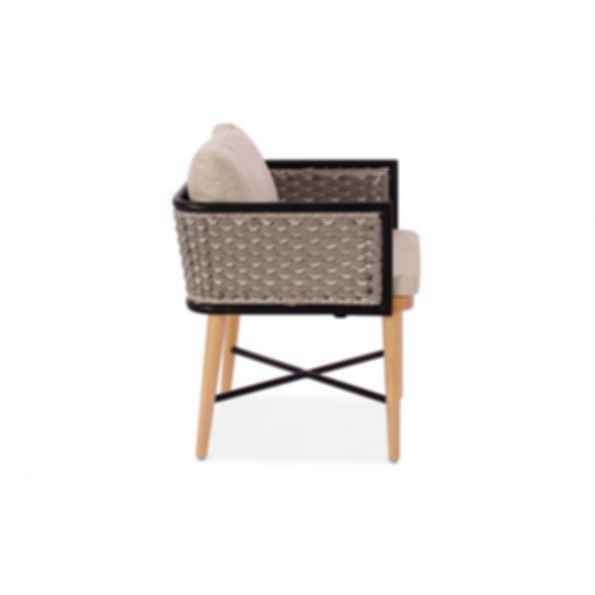 Our furniture collections are known as Triconville Outdoor Product line. In line with cutting-edge design trends, Triconville manufactures furniture that is beautiful yet functional, versatile products, for outdoors. And all combined in an excellence that guides Triconville towards new solutions for the world of architecture and hospitality. Our work with an extensive range of materials distinguish us from the rest of the manufacturers. Our range of teak outdoor, stainless steel, powder coated aluminum and wicker furniture collections is universally appealing, aiming to provide a outdoor furniture that significantly enhances the outdoor living.